The Intex Aqua 4X smartphone has made its debut in India and it falls in the affordable category carrying a price of just Rs 2999. Wallet-friendly as it is, the phone isn’t the cheapest on the market, but it does have the upper hand as only a few handsets offer 3G connectivity in this range. 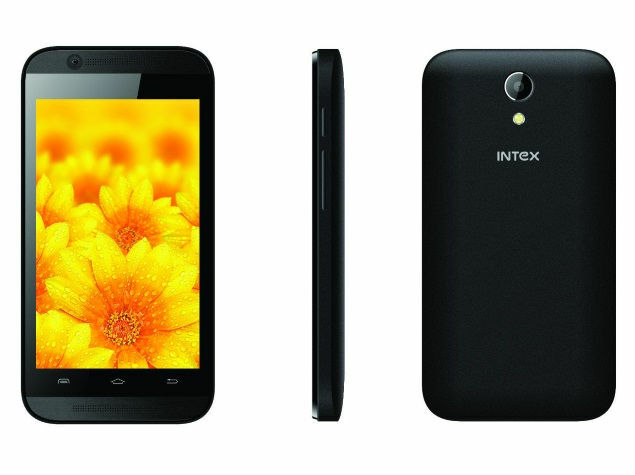 The Intex Aqua 4X has been launched exclusively through eBay and it has basic features to offer. One of its biggest downsides is that Android 4.2 Jelly Bean runs the show, while similar devices come with version 4.4 KitKat out of the box. On the bright side, you get the stock UI and there doesn’t appear to be any bloatware. The phone is decently sized at 4 inches and you get WVGA visuals. What worth mentioning is that most handset in this price range offer 3.5-inch panel with HVGA visuals, so this definitely gives the handset the upper hand. Other components of the Intex Aqua 4X are pretty much standard, such as a 1GHz dual core CPU, 512MB of internal storage, 256MB RAM and a microSD card slot. Dual SIM card slots also make part of the blueprints along with a 1300mAh battery which can grant around 3 to 4 hours of talk time. The Intex Aqua 4X can be purchased on eBay via this link and it comes in a single shade of black. Previous articleWhy Should You Choose Internet Marketing Over Traditional Marketing?